Bamboo flooring has gained popularity in the past few years for good reason. It’s eco-friendly and it’s durable. There’s no reason to believe bamboo flooring won’t be around for years to come. Manufacturing techniques have made this material a great choice for flooring. Your dining room deserves a little ambiance. 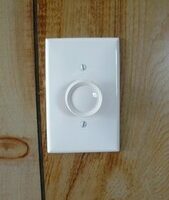 Here are step-by-step DIY instructions to install a dimmer switch for perfect mood lighting in any room you choose. Cotton insulation is an eco-product worth considering in today’s construction market. It’s eco-friendly due to it being a recycled product and it has insulating characteristics that are comparable to fiberglass. Consider incorporating cotton insulation into your home building plans for its’ many advantages. If you’ve ever wished you had a water spigot on the other side of your house, too, here are some step-by-step instructions to install it yourself.